Please click on the image to view the catalogue! We are committed to provinding excellence in unique travel experiences and hotel arrangements, which we carefully select and develop for a discerning clientele. It´s our philosophy to provide personal touches and care at the forefront of all we do - supported by technology to facilitate and simplify processes and information. We treasure our many clients, who originate mainly from Germany and Switzerland. They are seasoned, affluent and demanding individuals who travel frequently for pleasure and stay in the finest resorts and hotels. They have grown in numbers over the years and they continue to reward our efforts with their loyalty. We value our hotel members and partners, who are carefully selected and benefit from their association with Elegant Resorts in a number of strategic sales & marketing programs and initiatives. At the forefront of this association is the spirit of making a holiday a unique and special experience for our mutual clients and going out of your way to delight them. Founder and Managing Director Helga Delgado has more than 40 years of experience in the travel industry and worked for a period of 10 years for Westin Hotels before she started Elegant Resorts in 1987 in Zurich. There are three categories available for membership and you should choose the one where you feel your needs and expectations are best served. Below, please find an overview on the services included and on everything we do to ensure that your investment will be rewarded. The minimum duration of a membership is 12 months. If not terminated in writing 3 months before the expiry date, the agreement will be automatically renewed for the following year. Please choose your most suitable option! Comprehensive Hotel introduction in German on the Elegant Resorts Website to reach upmarket German speaking individual travellers in Switzerland, Germany, Austria and Liechtenstein. Voice Reservations where dedicated and trained experts are taking the time and care to listen and advise potential guests on the benefits of staying at your hotel. A presentation in the prestigious Elegant Resorts & Hotels Catalogue, which is printed and carefully distributed to affluent and frequent leisure travellers in Switzerland, Germany, Austria and Liechtenstein - many of whom have been our clients for a number of years. One additional Direct Mail Campaign targeting individual travellers preferably with an exclusive hotel offer. 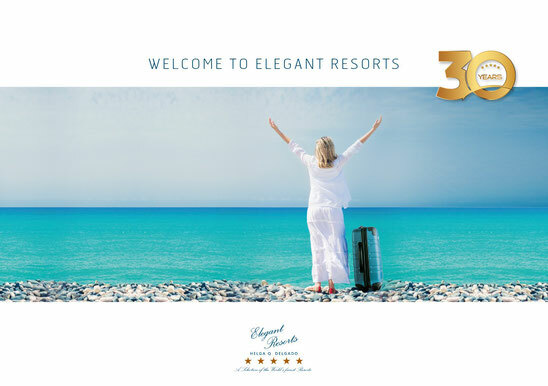 Comprehensive Hotel introduction in English on Elegant Resorts/HQD International website to reach international travel agents in 85 countries worldwide. Online Reservation via HQD online hotels. One direct mail campaign per membership year to this target audience preferably in combination with an exclusive offer from your hotel. Cross selling at industry events and trade shows. Join both websites and save 30%! the costs will be only € 98 per month.